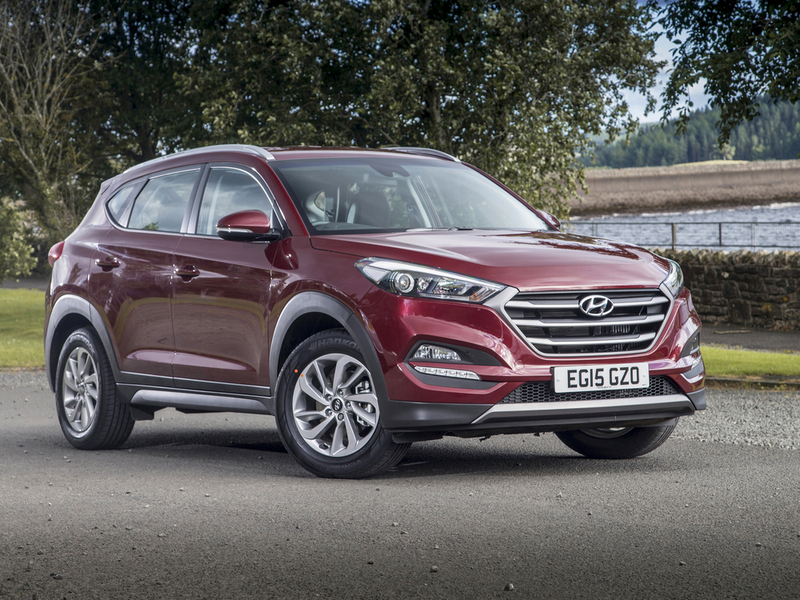 Euro NCAP has revealed the all-new Hyundai Tucson scored a maximum safety rating in recent tests. The European car safety performance assessment programme also tested the Vauxhall Viva supermini and Mazda's MX-5 roadster, revealing that while the Tucson topped the latest results, the Viva and and MX-5 fail to reach the 5 stars. The new generation compact SUV achieved high scores in all areas of assessment, and when compared to its predecessor tested in 2006, the new model showed a 'worthy evolution' in terms of safety all-round, and more specifically in safety assist. Autonomous Emergency Braking (AEB) technology is offered as option on the Tucson but it was not included in the rating as the uptake is not estimated by Euro NCAP to be high enough. The Vauxhall Viva was awarded four stars, resulting in a 'commendable' score for a car in this popular segment, yet the crash tests revealed the car's lesser-seen side. In the frontal offset test, the head bottomed out the airbag and in the side pole impact the chest was protected poorly. Chest protection offered to the rear small female passenger dummy in the latest full-width rigid barrier test was also weak while the driver slipped under the seatbelt, resulting in elevated risk at knee and femur injuries. Euro NCAP concluded that perhaps with better optimised restraint systems the Viva would have made a bigger impression. The Mazda MX-5 also achieved a four star rating, as did the Audi TT tested earlier this year. The Mazda combined good all-round performance in crash tests with exceptional pedestrian protection thanks to the deployable bonnet fitted as standard. However, like for the TT, the fitment of the latest crash avoidance technology was felt to be unnecessary by Mazda for the fourth generation roadster. In particular the absence of AEB 'disappoints' says Euro NCAP as many similarly-priced cars in other segments offer this safety equipment at least as option.